Have you ever taken a hard slash on your arm? If you don't have the right lacrosse elbow pads, it's going to be a long and painful season for you. In this buying guide we're going to show you the 3 keys to buying the best lacrosse elbow pads in 2018! 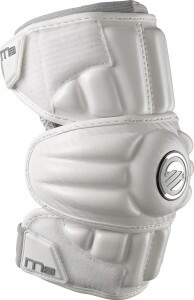 Additionally, we've got the top 10 lax elbow pads this season with the cheapest place to buy! 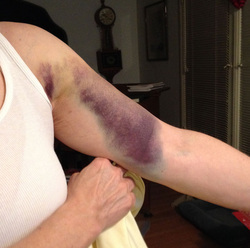 Lacrosse is a game in which you have a fair chance of injuries and that’s why you need to be careful. If you want to minimize injury it is important that you select your correct elbow pads carefully. For your ease we have highlighted and put together all important information regarding elbow pads that you will need to help you make the right choice. Just like Lacrosse Shoulder Pads — Figuring out which protection works best for you is going to depend on three factors. So deciding whether you need lacrosse elbow pads, arm guards, or arm pads are dependent on these..
Are you wearing the right one? You have 3 different types of arm protection to choose from. 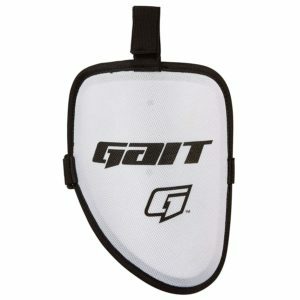 The first are arm guards, ideal for attackmen. Being longer in length than other protective gear, these cover the areas above and below the elbow well. The second is an arm pad typically used by middies, covering the elbow but minus the hard elbow cap. And the third is an elbow sleeve used for defense. 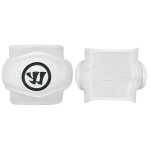 These are designed to take all the hitting and protect your elbows too. Some guys are real quick and don’t need the extra protection of full lacrosse arm guards. They’d rather speed dodge past the checks and keep their arms free for ripping top cheese. 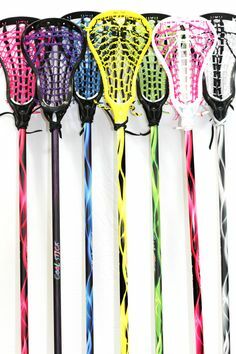 For them, the extra lacrosse padding takes away from their ability to make a good pass or fire off a shot. Other players like to bull dodge through slides or back their way into the crease. If you’re a bull dodger or find yourself running into slides often, you’re going to want some better protection. So Get some bigger lax arm guards. Just because you’re an attackman, doesn’t mean you need to fully gear up with a super protective lacrosse arm guard. You’re welcome to go with less protection, but you’ll have to live with the inevitable bruises that will be coming your way. At higher levels of play, guys get better at moving their feet and avoiding nasty checks, and some players can soak checks better than others. But if this isn’t you, don’t let your pride get in the way. Sitting on the bench with an injury is never worth it. 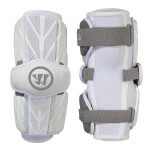 Invest in the best lacrosse arm guards that give you the protection you need. 3. Do you Play Attack, Middie or Defense? For the uninitiated, there’s a slight difference between lacrosse elbow pads, lacrosse arm pads, and lacrosse arm guards, and it can make a big impact on the way you play. Depending on the type of position you play will your pad requirements depend. Lacrosse is a fast, full-contact sport and investing in the right lax gear can mean the difference between sitting on the bench with an injury and getting some burn time. [Attack] Lacrosse Arm guards …Give you the most protection from just below your biceps to above your wrists. Lacrosse arm guards tend to have a hard shell on the outside and extra padding on the inside to keep your arms safe from slashes. [Middie] Lacrosse Arm Pads …Are a little smaller and don’t have the protective hard shell on the outside, but they’re more comfortable, breathe better, and offer more maneuverability. [Defense] Lacrosse Elbow Pads…Cover your arms the least and are just that—pads for your elbows. You won’t see much protection from these, but you shouldn’t be counting on touching the ball very much if you’ve got these on. [Youth] Lacrosse Arm Pads for Kids…Kids typically wear a smaller arm pad that's designed specifically for smaller players. These sizes are usually Small, or Medium and are designated as “youth” or “kids” are pads. Different positions demand different kinds of athleticism and specific levels of protection. Depending on what part of the field you call home, you’ll need a lacrosse arm pad that protects you. You'll find the lacrosse arm guards are broken up into three categories based on whether you play attack, defense, or midfield! The most popular brands and pads will be the STX, Warrior, and Brine lacrosse elbow pads. Attackmen notoriously receive the most abuse of anyone on the field—besides goalies—and it’s important that you suit up with the right lacrosse arm guards. The best recommendation for attackmen is going to be to wear full lacrosse arm guards. When you’ve got six feet of carbon fiber coming down on you, you’ll be happy you did. Different styles of attack require different kinds of protection, too. If you’re a finisher with good off-ball movement, you might be able to get away with less padding, like lacrosse arm pads. A dodger will usually want to invest in something more robust, like lacrosse arm guards, considering how many slashes you'll be getting. Sometimes crease attackmen wear smaller lacrosse arm pads, but the general idea is that if you do any kind of dodging, you’re gonna get hacked. Wrap up those arms with some lax arm guards! 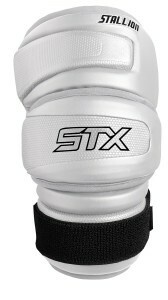 Another excellent lacrosse arm pad, the STX Stallion HD pads will work great for all midfielders. Built with STX's patented high definition polymer, you'll find these lightweight and strong. The new fit system makes sure you won't have anymore straps dangling around. 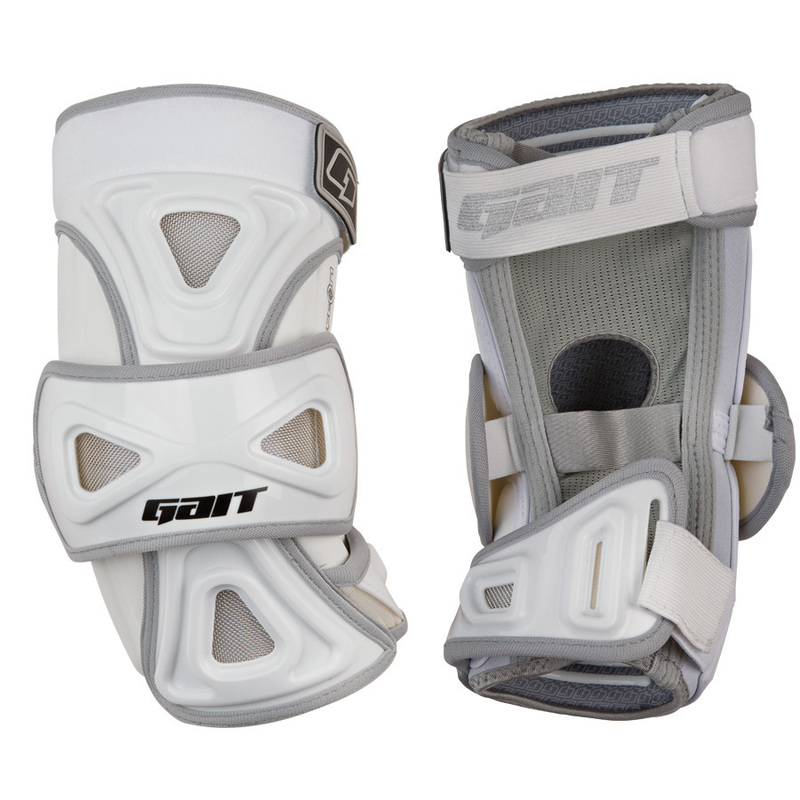 These Stallion lacrosse arm guards are designed with a full-length sleeve, which is breathable. Just like with the Cell 3 lacrosse arm guards, there are added silicone nubs to prevent slippage in these STX lacrosse lacrosse arm pads. These pads are lightweight, flexible and provide the full protection needed. This arm guard neither slides down nor causes any interference by coming on the face. Though a bit pricy, these arm guards meet all requirements by providing maximum benefit and are suitable for use in summers as they repel odor. 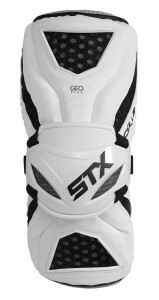 The STX Cell 3 arm guards are one of the best lacrosse arm guards you can get on the market. STX lacrosse designed these with their new Geo-Flex technology, giving you awesome flexibility at a lightweight. The new hard plastic elbow cap ensures protection, in a contoured, low-profile design. This arm guard provides great mobility and protection. Available in different sizes this arm guard is made using high quality and is perfect for use by both youth as well as adults. The strap system give you full range adjustability–no more snagging! No more slipping either, with the interior silicone nubs. Lastly, the targeted forearm protection will make sure you won't get checked hard while scooping a ground ball. 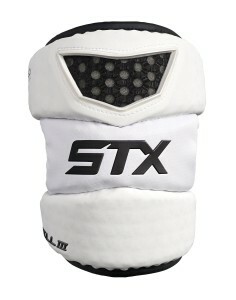 Definitely checkout these and other STX lacrosse elbow pads. Believe it or not, the Rome NXT lacrosse arm guards are are 23% lighter than any lacrosse arm guard Maverik has ever designed. The Durastretch technology makes sure they won't slip around when you dodge and pass. Despite being lightweight this product works great by offering protection and ensuring that the player remains guarded at all times. The Sharkgel foam is excellent for hard checks, and will protect you from nasty slashes. No more super-slippery lax arm guards, as these come with a moisture wicking liner to keep you dry! Offensive midfielders, defensive midfielders, and longstick midfielders can generally run with a little less padding because of the nature of the game. You won’t get as many checks or slashes dodging up top against another middie with a short stick. 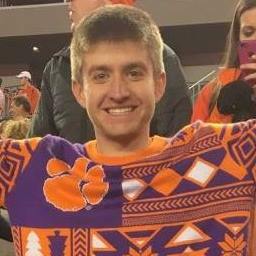 Commonly, middies can wear smaller lacrosse arm pads because you don’t usually get the same kind of abuse that an attackman does against a defenseman. LSMs and defensive middies can run with lax elbow pads or lacrosse arm pads depending on how involved you are in the offense. If you run off the field for offensive possessions, then you can rock lax elbow pads. If you like to take it to the cage, you’ll be better off with lacrosse arm pads. The M3 lacrosse arm pads are designed for offensive midfielders. You are going to get great protection, without sacrificing flexibility. For theose who play in high-heat, Maverik's Free Flex Seam lets you open up your arm pads, without having the remove them. Also, the liner allows for fast evaporation of sweat and heat. Maverik's special Anaform technology, which is lined throughout, ensures you have awesome protection without sacrificing mobility. 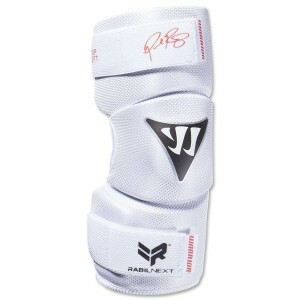 These arm guards are long lasting and provide top line performance. This product is worth the investment and a must have. The Maverik Rome series has been a long line of very successful, very high quality lacrosse gear over the years. And the Maverik Rome NXT arm pads are no exception. These puppies are very affordable for the strength, protection, and durability you get. So that’s a collection of the most comfortable arm pads available in the market , suitable for all weather conditions that allow you to give your best performance while remaining protected. 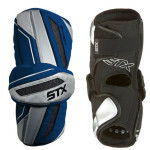 These are great middie lax arm pads, or even an long stick middie (lsm) who might take a little beating on the field. They are very comfortable, and stretch very well when cradling and dodging. 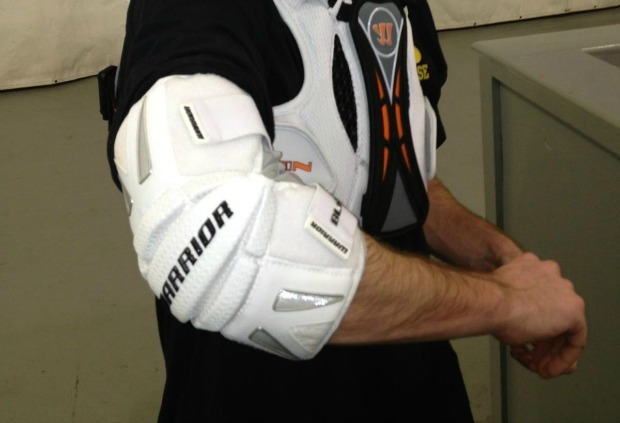 For defensemen laying the lumber, you'll be able to get away with wearing smaller lacrosse elbow pads. Most d-sticks hardly ever do any offensive dodging, so lax elbow pads will be enough. Just be aware that your attackman might seize an opportunity to get some revenge on you on some clears. If you’re getting consistently slashed with a longstick in your hands, you’re probably doing something wrong—unless you’re Michael Manley. 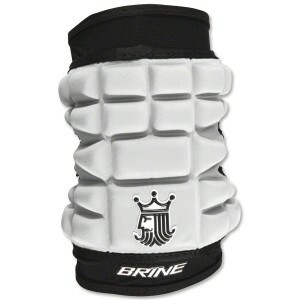 As a lax defender, there aren't many better lacrosse elbow pads you can get than the Brine Clutch pads. 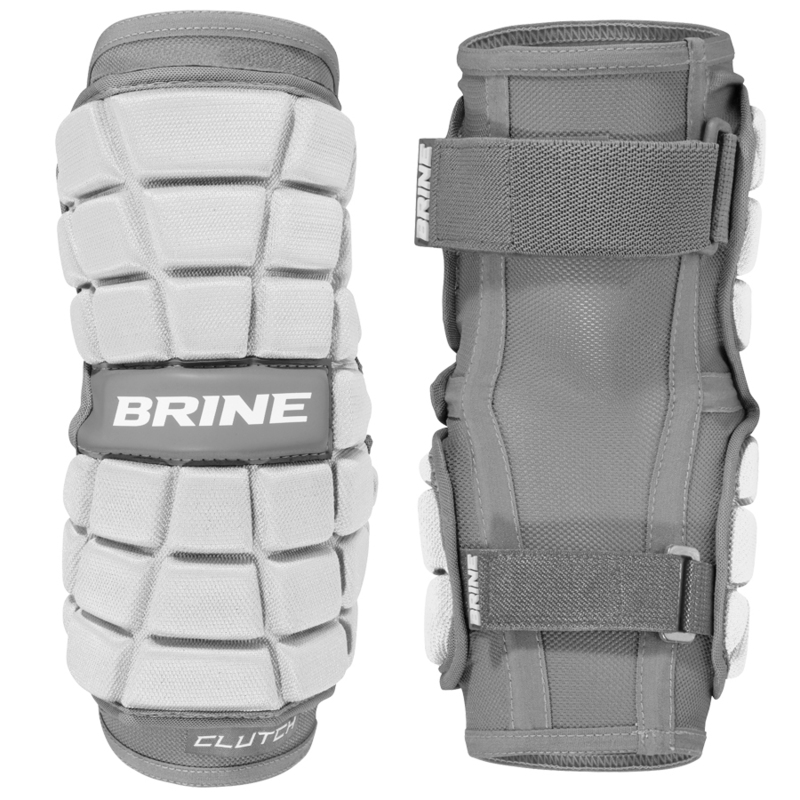 Brine lacrosse elbow pads are some of the best, and they deliver with some lightweight, strong, and comfortable lax elbow pads. First off ,it's a single-piece of padding, so it will form-fit perfectly. These elbow pads don’t impede movement as they aren’t very bulky allowing players to concentrate on the game without feeling burdened. The compression molded foam will give you awesome protection, absorbing impact from slashing attackman. 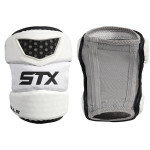 The Clutch lacrosse elbow pads ventilate excellently, and have an full-length liner to fit perfectly around your elbow. Lastly, the no slip gel print will keep the pad in place. Defenseman, these Brine LoPro Superlight lacrosse elbow pads are one of the lightest, and low-profile elbow pads out there. If you are a defender who wants to feel like they are wearing no padding at all, these brine lacrosse elbow pads are for you. Popular among the youth this elbow pad is comforting, flexible and perfect for protection during tournaments and practice sessions. This very small, 1-piece compression molded pad gives you enough protection, at a fraction of the weight of other lax elbow pads. The contour mesh sleeve shapes perfectly your arm, with no slippage and a form fit. 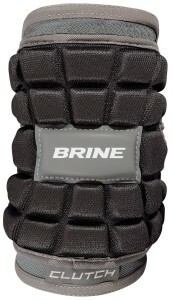 Scoop these brine lacrosse elbow pads up today! 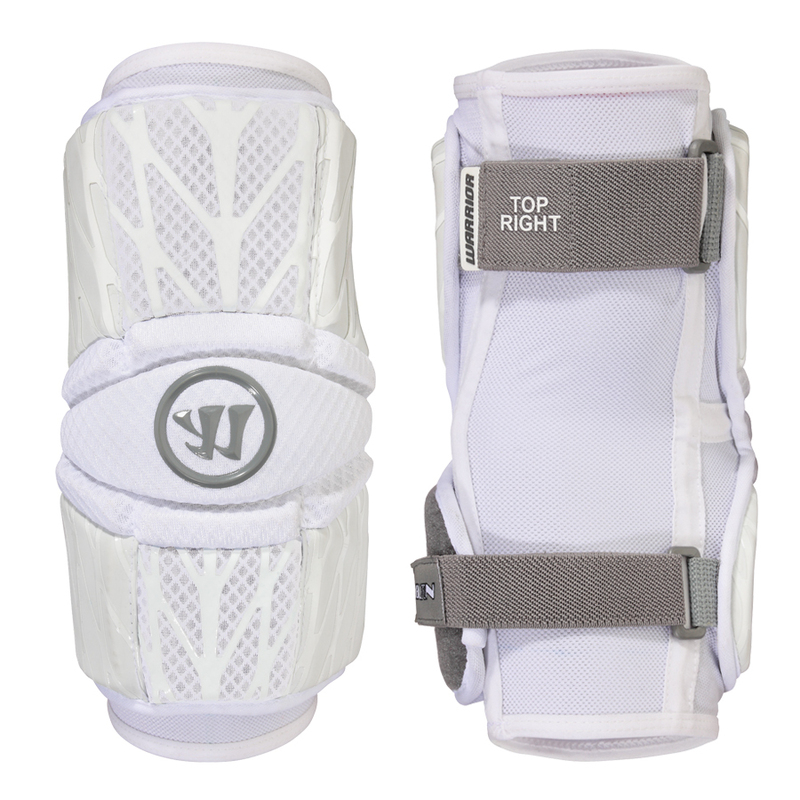 These are another awesome option for lax elbow pads if you play defenseman, or goalie, and are looking for lightweight, low-profile, and comfortable padding. The new Geo-Flex technology gives you awesome impact resistance when taking a nasty slash. This elbow pad is firm, sturdy and comfortable all at the same time. It fits easily and can be used for a longer time period. There are NO STRAPS on these, to make them even lighter and easier to wear. Comes with a compression sleeve, allowing breathability and “no frills” wear. The silcone nubs help with slipping too! 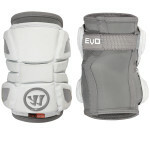 A lot of younger players who are just starting should go with more protective youth lacrosse elbow pads. The truth is, if you’re still learning the fundamentals of the game, you’ll need the extra protection and youth lacrosse arm pads will keep you safe. 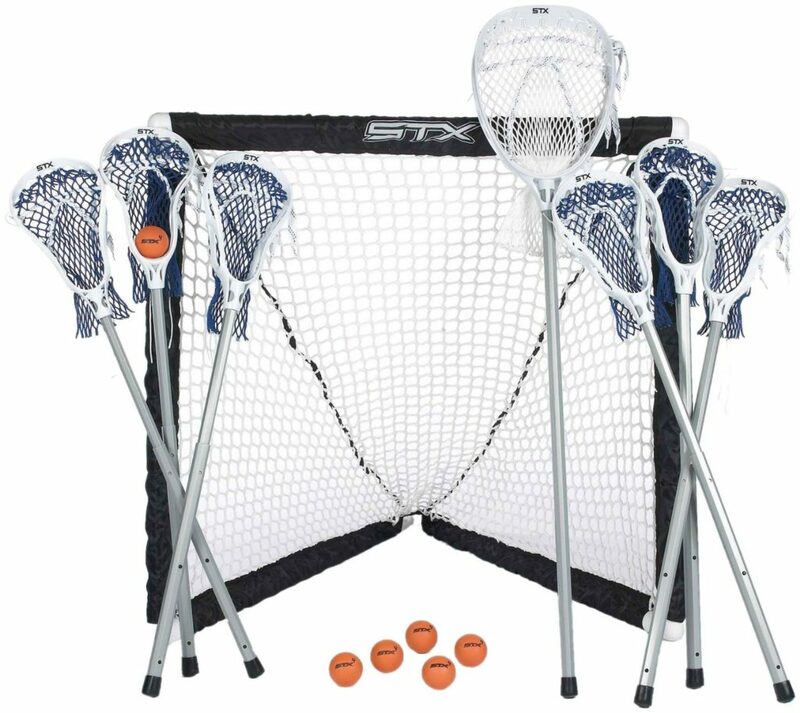 You can checkout a youth starter lacrosse set, which includes every pad you need! A good way to find out where you should start your search is to look at what other players at your level are wearing. Use that to gauge which arm guards you should start looking at, and the best way to find out which set works for you is to try them on. These are our favorite lax elbow pads for kids in 2018. Warrior really delivered on taking the top technology they use for college lax gear and bringing to the youth players. Available in 5 different sizes for kids and young players, whether your kid is only 5 years old or 15 years old they've got a size for them! The dual adjustment straps make it easy for any youngster to put these on themselves and stay in place. We love the added elbow protection on the elbow cap and forearm plate, to make sure no season-ending injuries happen! This product is well made and fits perfectly. It even comes enclosed with Velcro straps that around the sleeves to provide maximum comfort. The Stingers are an excellent youth lacrosse arm pad that have optimal protection if you're just starting out playing lacrosse. 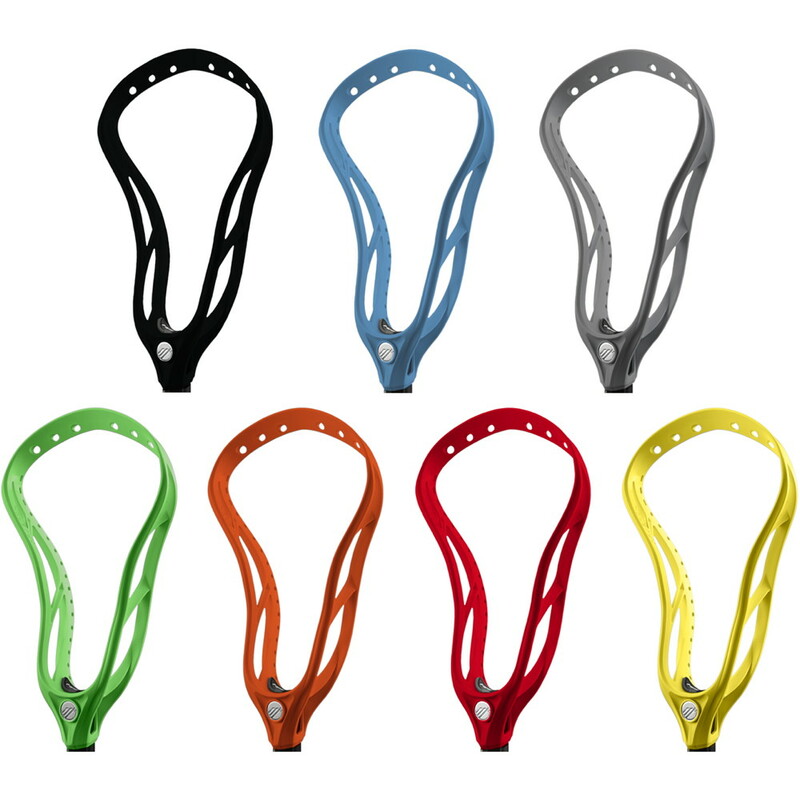 They come with a durable shell construction, which will last for both outdoor and indoor lacrosse seasons. Also, they have a no-slip spandex sleeve to make sure they won't be falling down your arm during the lax game. 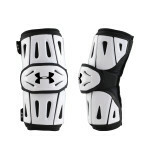 These youth lacrosse arm pads have the perfect amount of flexibility and protection for any new lacrosse player! The product is perfect for use by both beginners and experienced players who can remain guarded. 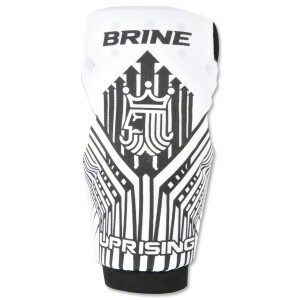 So the Brine Uprising line is one of the most common and sought-after youth lacrosse gear series. The Uprising pads have always been lightweight, durable, and awesome pads for starters or beginning lacrosse players around the globe. These Uprising arm pads offer great protection and flexibility for developing players. 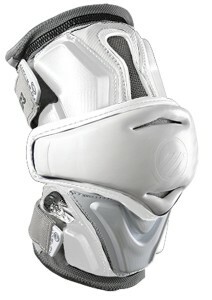 The dual-density protection with the internal elbow cap gives you protections against those nasty slashes. They come with adjustment straps which make it easy keep in place! For box lacrosse players, The game here is a little different and so are the pads. A lot of box players get away with favoring one hand strongly so they only bulk up on protection on one side. Generally worn on your weak side, these hard shells let you take a lot of abuse to one side while you're feeding, bull dodging, or just talking trash. The plus side to these lacrosse arm guards is you're more likely to draw a penalty on your defender. The hard plastic shell makes a lot of noise when you're getting checked which can sometimes draw a flag from a ref who can't tell the difference. In the end, the real trade-off is comfort vs. protection. More padding means more protection but less mobility. Less padding gives you more comfort and a bigger range of movement, but you’d better be able to take some checks in stride. The best lacrosse arm pads for you will depend on the position you play, how you play, and the amount of abuse you can handle. Use the above guidelines and make your life easier by choosing the correct protection gear that can help improve your overall performance.